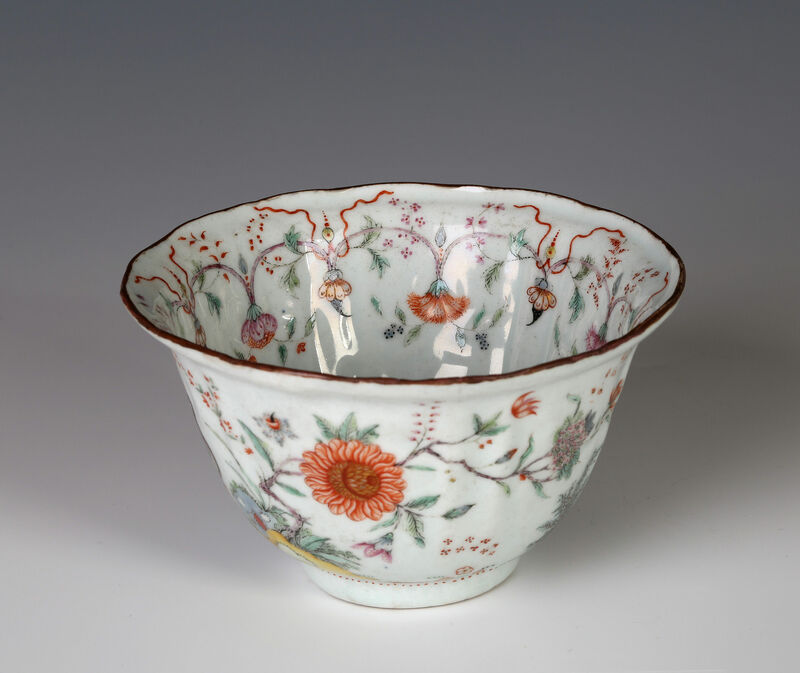 The bowl itself is unusual for Chinese porcelain of the Kangxi period; it is lightly moulded into six panels with moulded floral decoration below an everted rim edged in brown. 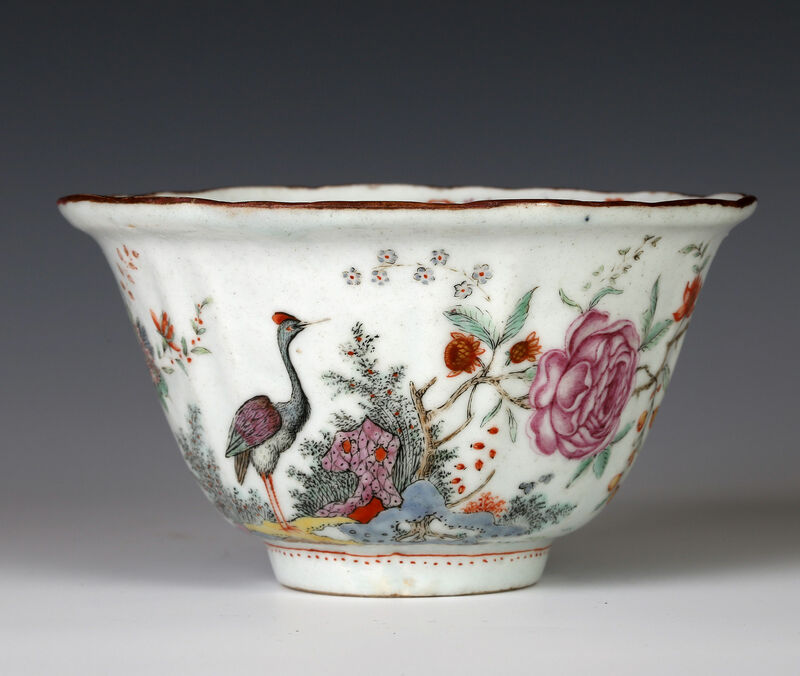 The only painted decoration added in China is the ribboned fan in underglaze-blue in the centre of the well. What is exceptional is the decoration. 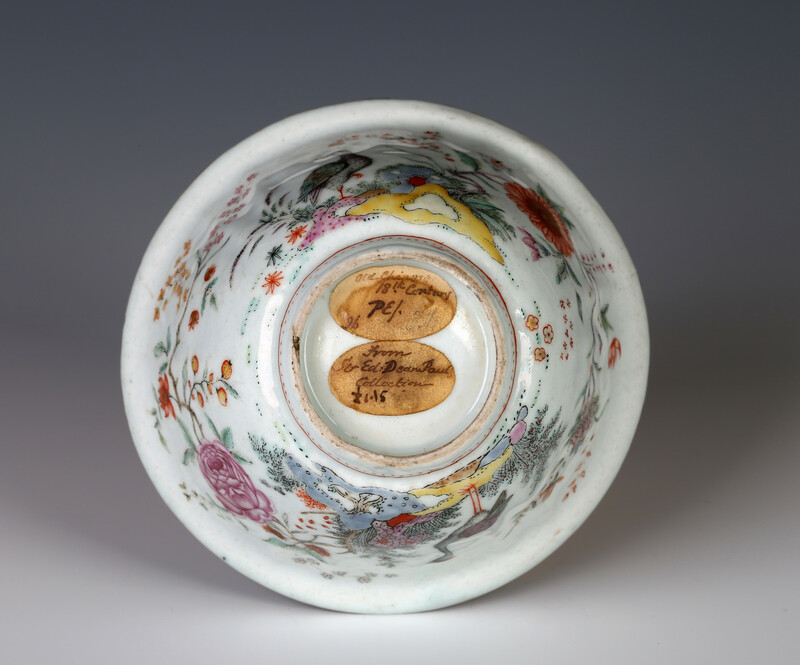 The work of the anonymous Dutch artist responsible was first discussed in a paper that I wrote entitled Dutch ‘Fine-Line’and German Schwarzlot Decoration published in the Transactions of the Oriental Ceramic Society, vol. 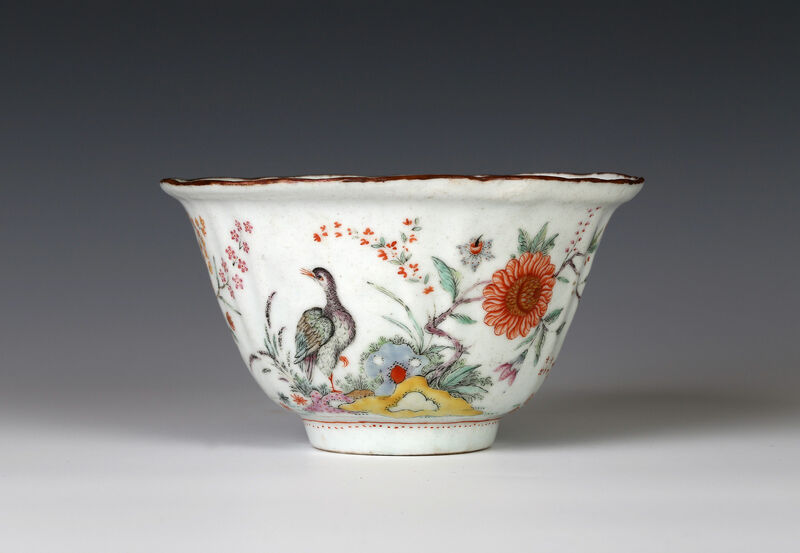 65, 2000-200, p. 135-142, to coincide with the exhibition held at the British Museum on the subject of Oriental porcelain decorated in Europe. Lambertus van Eenhoorn had been overlooked in favour of his brother Samuel for the inheritance of the Grieksche A factory, presumably because of his predisposition for overspending and drinking. Despite this, he turned out to be a very successful businessman and the factory flourished under his stewardship in a period of stagnation in the Dutch economy. Condition – Small chips to the foot and rim, no restoration.